This Week in JBoss (26th November 2015) : Happy Thanksgiving! Make your JBoss EAP Fuse ready! Christina Lin started an interesting series about how to make your JBoss EAP installation ready for Fuse. With the upcoming JBoss Fuse 6.2.1 release Red Hat is supporting a new scenario: Running Camel on EAP. And because Fuse and especially Camel are so rich in terms of features, it takes a couple of blog-posts to walk you through the various development options. The first part showed you how to use the Spring Framework to define your Camel route. The second explains everything about using CDI with the Java DSL to create your routes and the third part uses plain XML without Spring. The final post glues everything together and gives you a complete walk-through on how to integrate your Camel CDI application with a Database. The Virtual JBoss User Group got a make-over. More precisely the website. 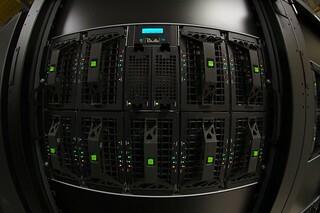 Make sure to check out www.vjbug.org and enjoy the 40 recorded sessions which are already available on demand. And we’re adding another one or two every month! 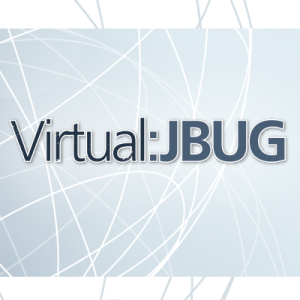 Make sure to follow our Twitter handle @vJBUG and also check out our meetup group regularly. Next upcoming session will be the legendary Burr Sutter (@burrsutter) talking about “An Enterprise Developer’s Journey to the IoT”. The new Red Hat developer programs blog has a longer article about the vJBUG up. Make sure to read it! That's all for this week, please join us again for the next installment of the JBoss Editorial where we will endeavor to bring you more interesting articles written by members of the JBoss communities. And stay up to date with latest developments by following @jbossdeveloper on twitter. The Last Week in JBoss (13th November 2015): Devoxx, Java EE and More! As if we would have anticipated something to happen. This years Friday the thirteenth marks the week, we failed to deliver the weekly editorial. The good new: You get two this week. But beside this, the week has been pretty busy as usual. Here's the latest happenings of last week with all the relevant JBoss Community News. As you might know, Ceylon already has the most feature rich IDE of any modern language for the JVM, with some features that even the Java IDE for Eclipse doesn't have. But IntelliJ users don't like having to switch to Eclipse when they code Ceylon, so a few months ago we got serious about porting Ceylon IDE to IntelliJ. And another post shows you how to write and publish a bare-bones application on OpenShift Online. I had the pleasure to give two talks at Øredev. One of them is about my favorite topic: Security and Java EE. It is designed to fulfill two goals. On the one side to introduce the typical Java EE developer to the overall application security process and main objectives. But also to look at the details about what Java EE has to offer. Learn all about Security and Java EE in my blog-post. And after that, it was Devoxx Belgium time. There has been a lot of Java EE involved also. The CDI reference implementation Weld released a development mode and JMX support. And finally, the JBoss EAP 7 ALPHA release went out! Right in time to look back and ask, if Java EE is still relevant. Mark Little answers in his blog and also reflects on things he has seen at JavaOne. The Docker Tooling was presented by Xavier. Chris talked about Process Driven Applications. 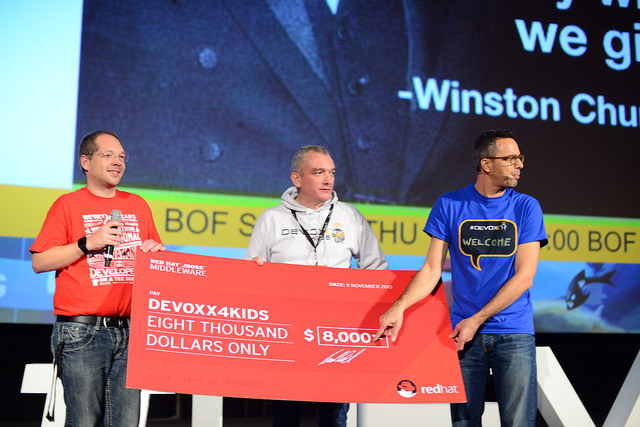 And Red Hat was happy to sponsor Devoxx4Kids with a significant amount this year. We love opensource and am very proud to help raise the next generation of open source developers.Find the complete set of picture impressions online on flickr. And also make sure to watch all the sessions you missed. Because they are already online available! For Free!! Thanks Devoxx! If you have some more time, spend it on the recording or Aslak's and Alex's talk about The Borg is docking your system; testing is futile! Or is it?. Some impressions from the BBC 2015 by Eric Schabell. Monitoring Business Transactions in JBoss Ticket Monster with Hawkular. Christian Posta gives you a quick Go-Lang intro for Java developers. Learn how to use APIman as microservices. Revisit Eric's Webinar slides and go in 6 steps to your first process with JBPM. Christina walks you through the three ways to developer your Fuse applications in EAP. Claus shows you how to use Camel commands to manage a Spring Boot application. Learn how to use Hadoop as a datasource in Teiid. Red Hat JBoss Enterprise Application Platform 7.0 ALPHA released! Right behind Docker - if not even sometimes in front, "microservices" has certainly been a big buzzword of those last years. And, as any trend, it's good to take the time to step back a bit and look at it seriously, and a couple of article released last week will certainly help you on this. The first one is High Performance APIs for Microservices With Baratine.io, certainly an interesting angle, because high level architecture sometime overlook performance constraint. Of course to be able to assess your microservice performances, you need to be able to deploy it and test it - so, let's how Red Hat JBoss Engineers think about Java EE, Container, Microservices and Testing. However, if you don't even see the value of microservices, all those good practices and considerations will neither help you, or speak to you. If this is the case, I strongly recommand you look at this in depth article on Tear Down Data Silos with Mobile Microservices from Red Hat Developer Blog. Berlin is not the only place to go, Roma will be hosting Alfresco Day Roma 2015 - so if you really picky about your pizza, you know what to attend ! At last, but not the least, if you are in Switzerland, you may want to take a look at Dimitris' Andreadis Blog on "WildFly activity in Geneva". Of course, not everybody can manage to get to Berlin, Geneva or Roma, but rest assured, some events are coming to you instead, like this upcoming webinar on How to become a data-driven organization to achieve more and gain a competitive edge. And if you don't have time to attend anything, you can still be kept up to date, the "old fashion way" - meaning by reading a book, so checkout this Book Review: "Arquillian in Action" by Alex Soto and Jason Porter. After those high level considerations, let's get to some more practical stuff. First, let's take a look on How To Setup Integration & SOA Tooling For JBoss Developer Studio 9, as it never hurts to be well prepared. Along the same line, if you are looking forward to use JBoss Fuse on JBoss EAP - look how to be ready for it ! Now that you are all set up, let's take a deep dive into the command line tool Kubectl : Logging Into a Kubernetes Cluster With Kubectl - I'll bet it will make using Kubernetes and Docker far more efficient for you. Only two releases this week - propably a the lowest numbers of releases for a week since I contribute to this editorial. But, quite important and major ones. The first one is Byteman Blog: Byteman 3.0.2 release supporting some exciting and impressive monitoring packages - definitely a must see (or in this case must "click on"). The second one is a new Teiid Designer 9.2 Released, which contains numerous bug fixes, but allow to import dynamic virtual database. If you are a regular user of the Teiid designer, you will probably be quite interested in this release. 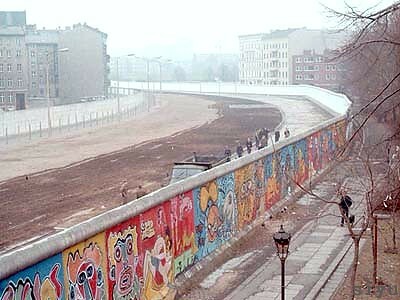 Even if the JBoss Community is a very large one, it's good, now and then, for Java developer to look outside the JVM. Especially, that the following announcement of this week concern the java competitor .NET : Red Hat and Microsoft making .NET on Linux work for Enterprises.And talking about Linux,Fedora 23 has been released, so time to update your system (or try it if you are using an other OS).